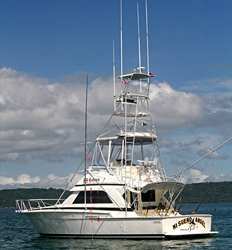 Costa Rica’s North Pacific coast has attracted fishermen from all over the world for decades! 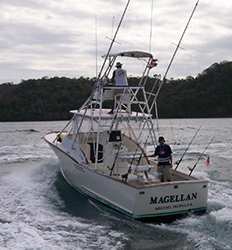 The warm Pacific waters along the coastline of Guanacaste and its particular underwater landscape allow finding some of the most sought-after sport fish species in the world. 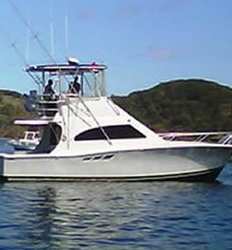 If you’re looking for your next sport fishing adventure, you will find the best sport fishing in Guanacaste! 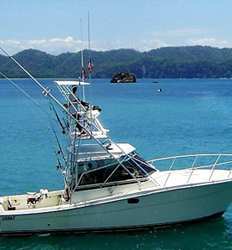 Guanacaste on the Nicoya Peninsula is home to some of Costa Rica’s most beautiful beaches, such as Playa Flamingo, Playa Carrillo and the popular town of Playa Tamarindo, where visitors will find anything and everything they need for an enjoyable vacation in Costa Rica. 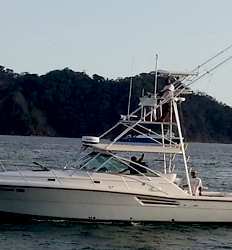 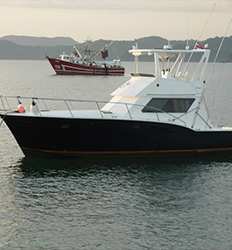 Guanacaste is also home to one of the country’s high-tech marinas, Marina Papagayo and to Costa Rica’s second international airport in the town of Liberia, which makes travelling to Guanacaste easy and accessible, luring even more anglers to join the lines in search for their next dream sport fishing trip! 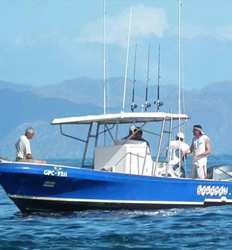 The beauty of sport fishing in Guanacaste is the proximity to the fish; with over a thousand feet of water within reach of the North Coast’s beaches and the continental shelf running parallel to the coastline, in Guanacaste you’ll spend more time fishing than commuting! 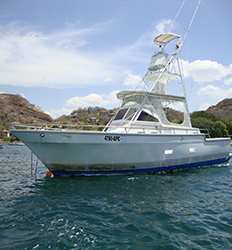 Just 20 miles south of Playa Flamingo, water depth increases from a few hundred feet to over 2000 feet, giving access to some of the best sport fishing grounds for offshore sport fishing in the planet. 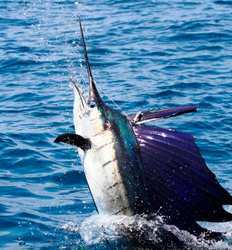 In Guanacaste you’ll find all types of big game fish and tough fighters within arm’s reach: Billfish, Dorado, Sailfish, Blue, Black and Striped Marlin, Yellow Fin and Big Eye Tuna. 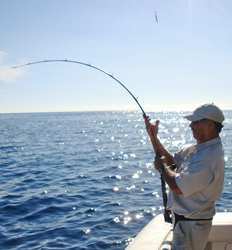 If that weren’t enough, the more nearby inshore waters abound year-round with Mackerel, Red Snapper, Wahoo, Jack Crevalle, Pacific Cubera and Roosterfish that can reach up to 75 pounds! 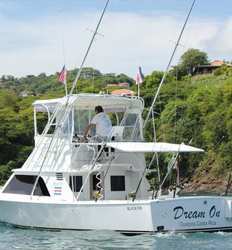 Fishing in Guanacaste is for sure any angler’s dream. 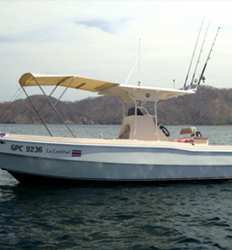 Guanacaste’s fertile waters become more prolific when you’re in the company of the right crew! 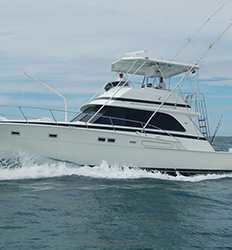 We’ll hook you up with the most experienced and professional fishing crews out there and the highest quality charters fully rigged for sport fishing. 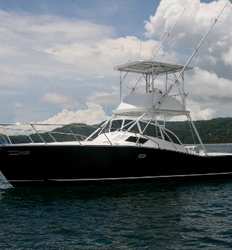 All boats are fully insured and equipped with top of the line gear, such as Penn International and Shimano reels, as well as the best in navigational systems to get the best out of your Costa Rica fishing experience! 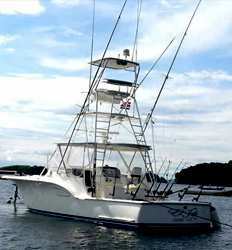 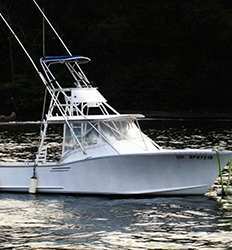 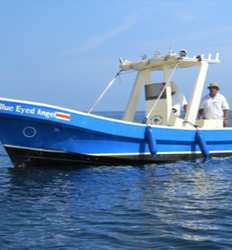 Blue Eyed Angel 25 ft Center Console deposit is $90.00 per Half Day Tour. 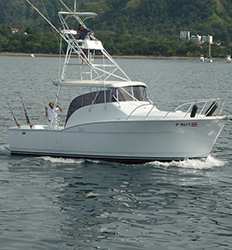 Bahamas 28 ft Center Console deposit is $98.00 per Half Day Tour. 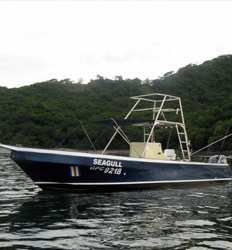 Sea Gull 28 ft Walk deposit is $98.00 per Half Day Trip. 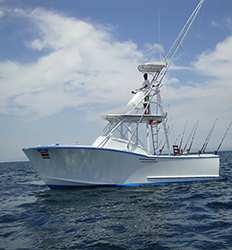 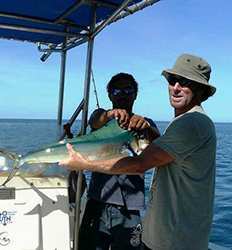 Sport Fishing Tomato I 28' Mako Half Day Trip deposit is $98.00 per the Half Day Trip. 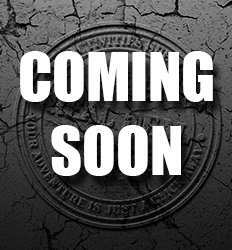 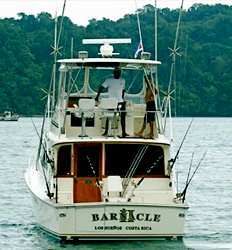 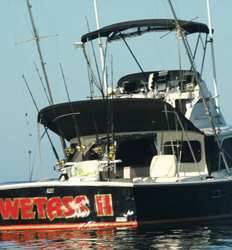 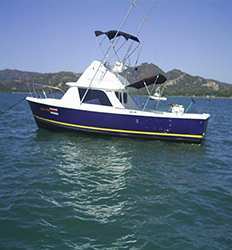 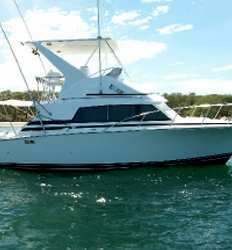 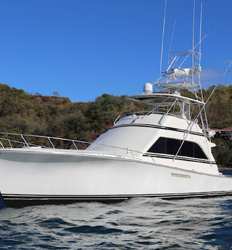 WetAss II 31' Bertram deposit is $195.00 per Half Day Trip and $285.00 per Full Day Trip.